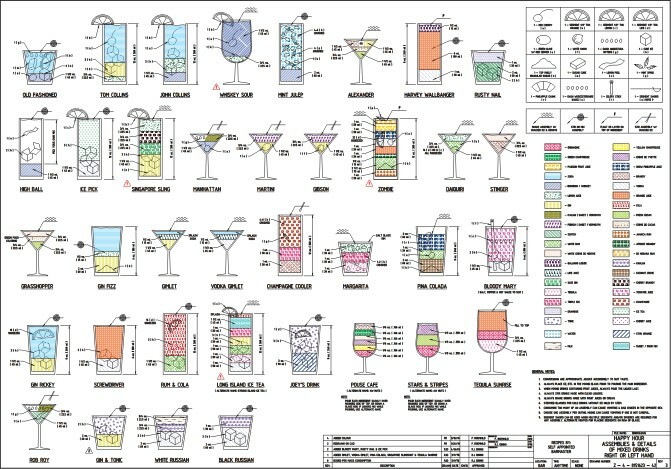 Engineer Shaan Hurley has created a clever and informative chart of over 70 classic cocktails, made in AutoCad 360. Shaan said that he was inspired by Florian Römhild’s 2010 illustration. I first found this drawing years ago when it was a test DWG file for a plotter company. 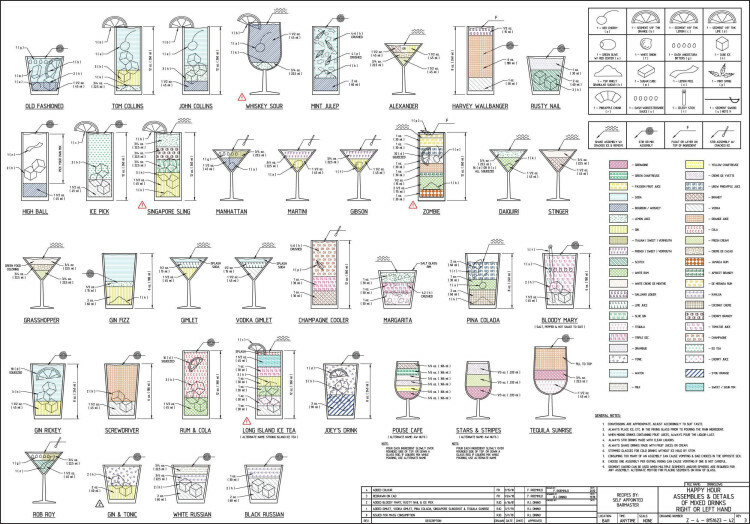 A couple years back Florian Römhild …re-drew the guide in DWG format and a few others have also modified the popular drawing like the Whisky Drinks version. I figured I would place the drawing for all to have fun viewing in AutoCAD 360.